Today things went wrong, but everything can be fixed. 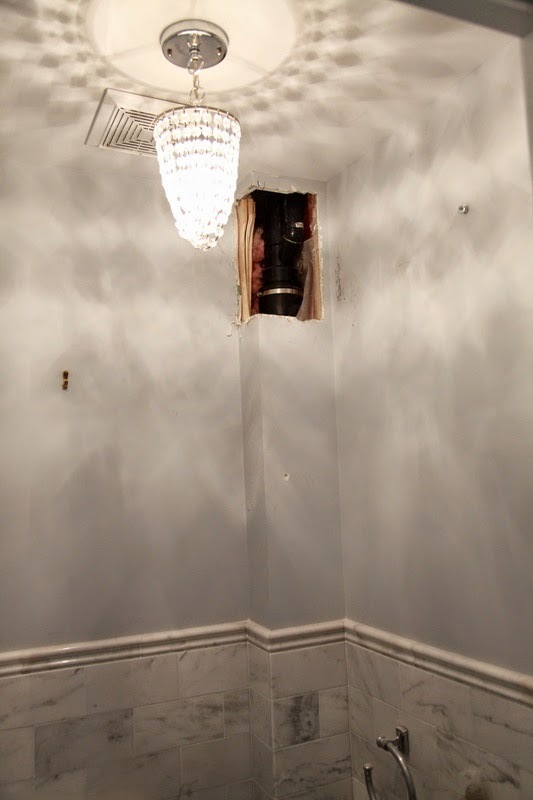 First up: The old plumbing stack had large holes in it. Golf ball sized holes. Sewage was venting into our walls!! It's already been replaced but they had to hack into my pretty powder room to do so. This will cost us around $500. 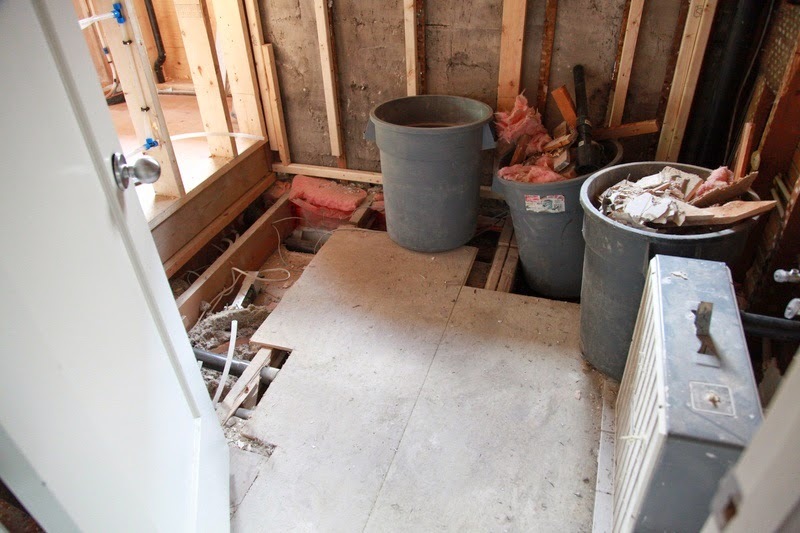 Second: The joists in the bathroom floor were chopped and compromised by the previous owners in order to run plumbing or something. I don't know what those monkeys previous owners did. This is a problem. They will fix it. Third: Only the bathroom window was delivered today, and it had clear glass, not frosted. Who puts clear glass in the shower? I requested frosted. OBVIOUSLY. 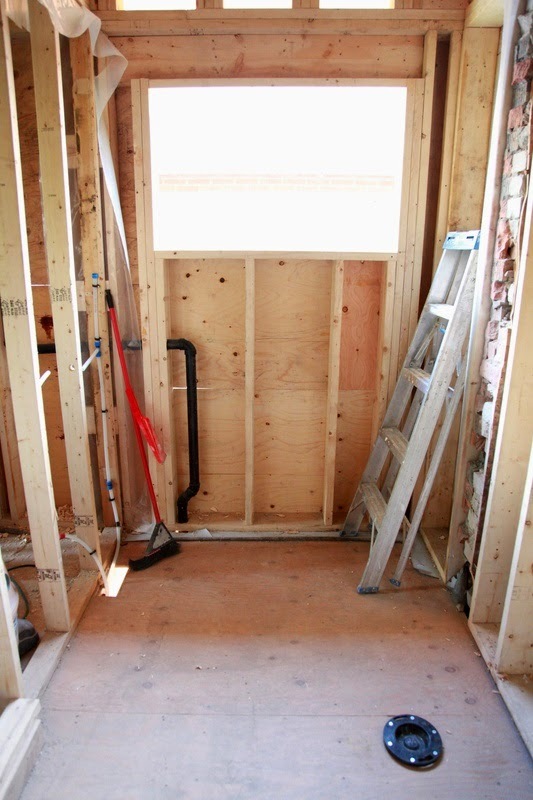 Fourth: The plumbing for the shower in the new bathroom has been run on the left side of the window. 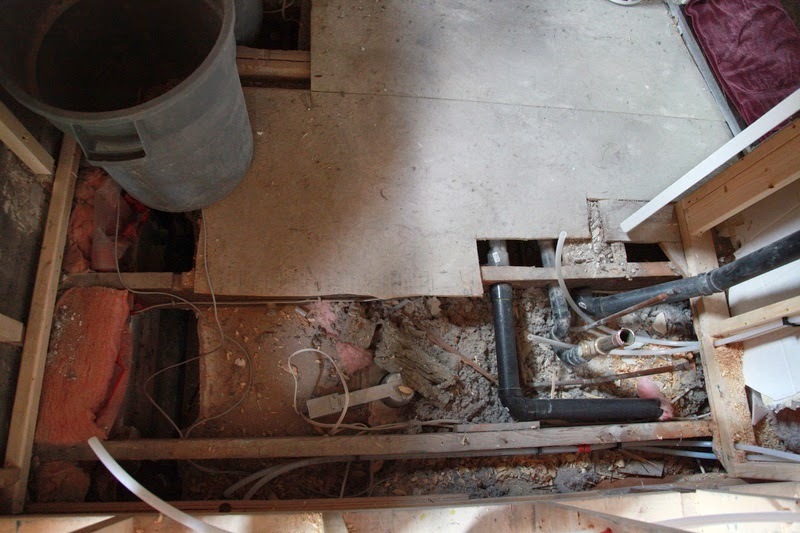 See the clear tubes in between the joists in the last photo above?? That means when I take a bath, my head will be resting NEXT TO THE TOILET. This is a problem. I realize the wall on the right is an exterior wall - it's part of the cantilever...I emailed to find out if they can change it. 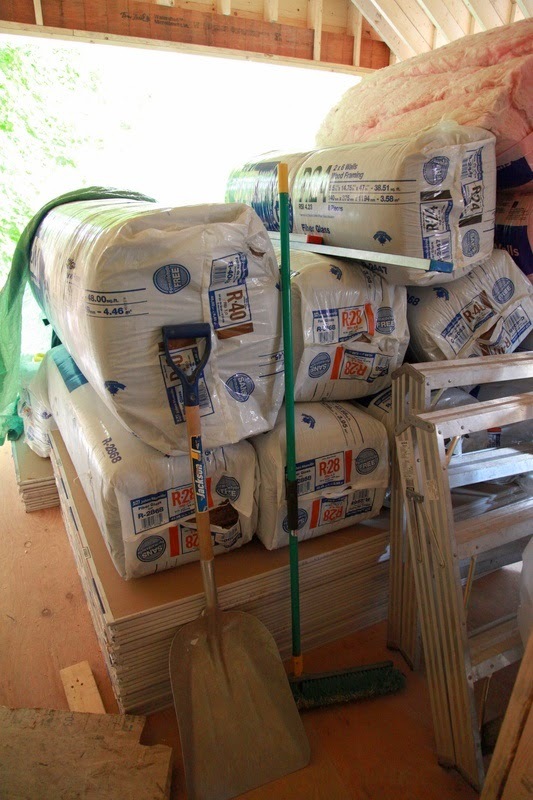 Drywall and insulation have been delivered. 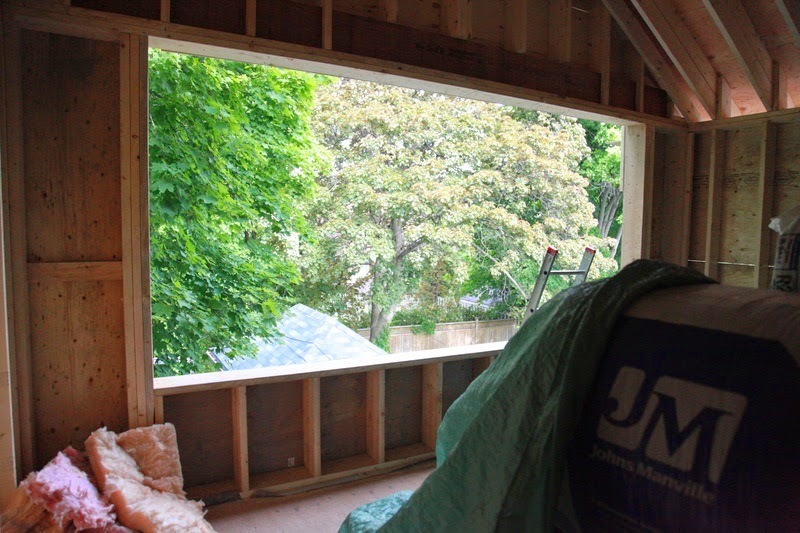 The windows go in on Monday (The large window has been framed out). Stucco starts Monday, electrical next week and plumbing will get wrapped up and then the walls will be sealed up. Within two weeks the place will be mudded. ps. I am worried about the location of my chandelier. It will be centered north and south, but not sure where it should go between the windows and the closets. My gut says it should be centered over the bed, and I think the bed will be closer to the window than the closets (because doors open)...I have to measure this up tonight and give an exact number of inches I think.